With an ongoing interest in how society dictates and defines how women will live and how they will look while doing so. I started comparing what society thinks it’s creating with what is actually being produced. I was interested in how women are taking back control/power through research into femme fatale, female strength and female monsters. The resulting works where Untitled (butterfly) and the Phalaenopsis, Hybrid, City Girl series. 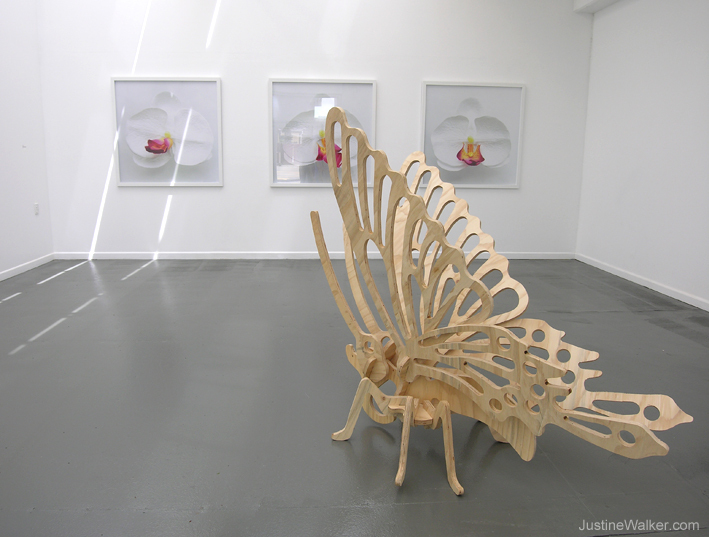 Untitled (butterfly) is a surreally enlarged object, drawing on what a butterfly represents; fragility, short-lived beauty. 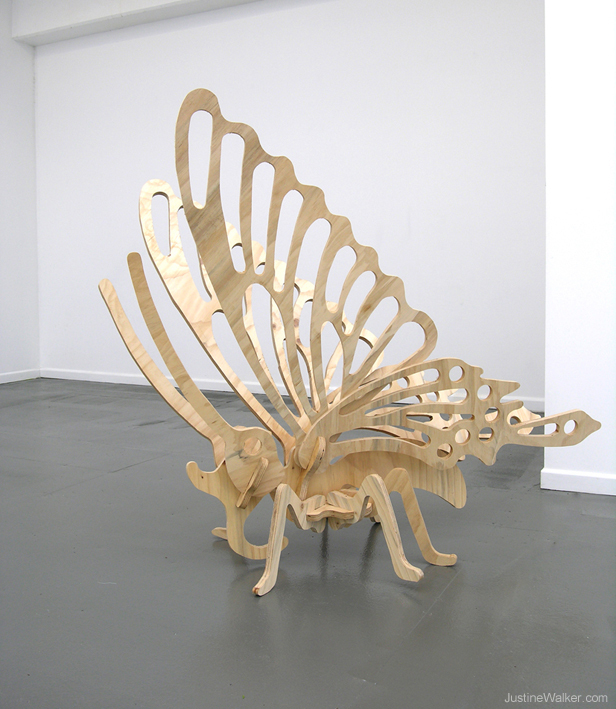 This enlarged plywood replica of a child’s model, evokes the uncanny and monstrous.